And although my entire presentation will soon appear online at the conference’s Web site, I thought I’d share here an updated version of the approach image shared previously. As you’ll see from the presentation, this work is now progressing well. There should be more to share soon. York University will be well represented at CANHEIT 2008. Yesterday I learned that my paper on semantic platforms was rejected. Its conception dates back to a presentation I gave at the 2006 Fall Meeting of the AGU. The initial reviews called for major revisions. With tremendous support from my co-authors, the paper was significantly revised, and re-submitted. After some additional interactions, I just learned that the paper was finally accepted for publication. L. I. Lumb, J. R. Freemantle, J. I. Lederman & K. D.
Knowledge representation is increasingly recognized as an important component of any cyberinfrastructure (CI). In order to expediently address scientiﬁc needs, geoscientists continue to leverage the standards and implementations emerging from the World Wide Web Consortium’s (W3C) Semantic Web effort. In an ongoing investigation, previous efforts have been aimed towards the development of a semantic framework for the Global Geodynamics Project (GGP). In contrast to other efforts, the approach taken has emphasized the development of informal ontologies, i.e., ontologies that are derived from the successive extraction of Resource Description Format (RDF) representations from eXtensible Markup Language (XML), and then Web Ontology Language (OWL) from RDF. To better understand the challenges and opportunities for incorporating annotations into the emerging semantic framework, the present effort focuses on knowledge-representation modeling involving formal ontologies. Although OWL’s internal mechanism for annotation is constrained to ensure computational completeness and decidability, externally originating annotations based on the XML Pointer Language (XPointer) can easily violate these constraints. Thus the effort of modeling with formal ontologies allows for recommendations applicable to the case of incorporating annotations into informal ontologies. Evolving Semantic Frameworks into Platforms: Unpublished ms. It may take my co-authors and I some time before this manuscript is revised and re-submitted. This anticipated re-submission latency, along with the fact that we believe the content needs to be shared in a timely fashion, provides the motivation for sharing the manuscript online. A data-oriented semantic framework has been developed previously for a project involving a network of globally distributed scientiﬁc instruments. Through the use of this framework, the semantic expressivity and richness of the project’s ASCII data is systematically enhanced as it is successively represented in XML (eXtensible Markup Language), RDF (Resource Description Formal) and ﬁnally as an informal ontology in OWL (Web Ontology Language). In addition to this representational transformation, there is a corresponding transformation from data into information into knowledge. 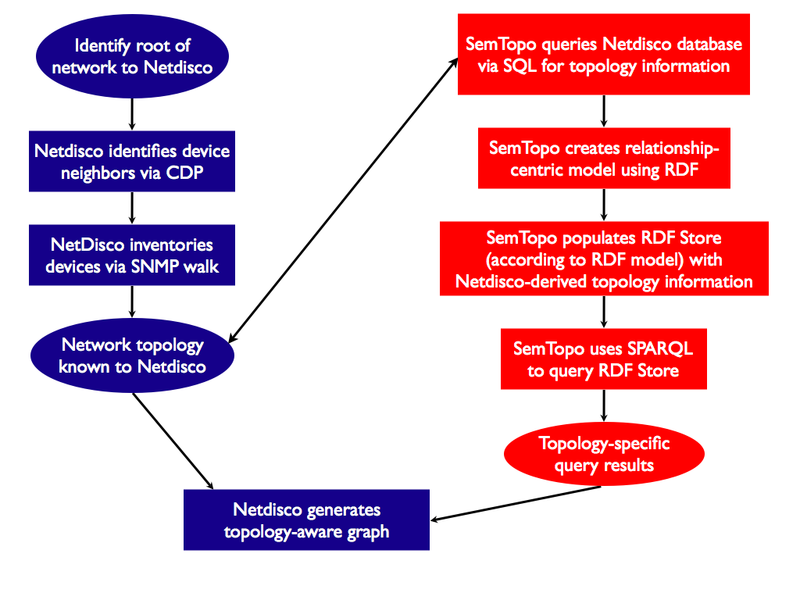 Because this framework is broadly applicable to ASCII and binary data of any origin, it is appropriate to develop a network-enabled semantic platform that identiﬁes the enabling semantic components and interfaces that already exist, as well as the key gaps that need to be addressed to completely implement the platform. After brieﬂy reviewing the semantic framework, a J2EE (Java 2 Enterprise Edition) based implementation for a network-enabled semantic platform is provided. And although the platform is in principle usable, ongoing adoption suggests that strategies aimed at processing XML via parallel I/O techniques are likely an increasingly pressing requirement. Thus begins the seemingly curious proposition of the Google Web Toolkit (GWT). Of course, it’s about a lot more than that. There’s a broad-and-deep software engineering ecosystem around the GWT that is fueling progress and delivering highly significant results. Chaganti is an excellent guide with the ability to negotiate this ecosystem and drive you towards tangible outcomes. Chapter 1 rapidly places the GWT in context, and gets you started by downloading, installing and working with the samples provided. Available for Apple Mac OS X, Linux and Microsoft Windows, the GWT only requires the Java SDK as an installation prerequisite. The GWT is made available via the Apache Open Source license; this allows for the development of commercial and Open Source applications. With the Java SDK, the GWT and the Eclipse IDE, the developer has a well-integrated and powerful platform on which to develop applications. After illustrating the development of the obligatory “Hello World!” application at the outset of Chapter 2, attention shifts rapidly to use of Eclipse. Google’s Web-wired DNA is evident in everything they do, and the GWT is no exception. The GWT leverages the Java SDK and Eclipse to the fullest, while closing the gaps in developing AJAX-based applications in a very organized way. By the end of this Chapter, the reader knows how to develop a simple application with both client and server-side components and execute the same in both hosted (i.e., non-deployed) and Web hosted (i.e., executing within a Web-hosted Tomcat servlet container). Made explicit in this latter deployment is GWT’s ability to support a variety of Web browsers – i.e., Apple Safari, Microsoft Internet Explorer, Mozilla Firefox and Opera. The creation of services is the focus of Chapter 3. To quote from this Chapter, and in the GWT context, service “… refers to the code that the client invokes on the server side in order to access the functionality provided by the server.” The author is quick to point out that this is a separate and distinct notion from that used in the context of Web services. True to its billing, this Chapter works the reader through the creation of a service definition interface (a client/server contract that defines the service’s functionality and establishes rules of usage) and service implementation. Particularly important in this Chapter is the creation of an asynchronous service definition interface, as this facilitates remote calls in the background to the server, and capitalizes on the AJAX support in the GWT. With definition and implementation taken care of, the remainder of the chapter focuses on use (i.e., consumption of the service by a client). Conceptual illustrations compliment screenshots to effectively convey this content. Whereas the previous chapter delivered a prime number service, Chapter 4 introduces no less than six services that really showcase the capabilities of this application paradigm. With ample explanation and illustration live searches, password strength checks, auto form fills, sorting tables, dynamically generated lists and Flickr-style editable labels are each considered. Not only does one recognize these as design patterns that are already in everyday use (e.g., Flickr, Google Docs, Maps and Search, etc. ), one also realizes their potential for re-use in one’s own projects. Chapter 5 introduces five interfaces that are more complex than those presented in the previous chapter. These interfaces are pageable tables, editable tree nodes, log spy (the GWT spin on the UNIX tail utility), sticky notes and jigsaw puzzle. To reiterate, one recognizes these as design patterns already in everyday use, and the potential for re-usability. By the end of Chapter 7, impressive calendar and weather widgets have been created, and readied for re-use. In Chapter 8, JUnit is introduced in the context of unit testing. Standalone tests plus test suites are given consideration; this includes tests involving asynchronous services. Although this is only the second book I’ve ever seen from Packt Publishing (the first I’ve reviewed elsewhere), I’ve become accustomed to expecting bonus content towards the end of the book. Chapter 9, which addresses internationalization and XML support, falls into this bonus category. Of course, it’s no surprise that Google expertise on internationalizations ranks high, and this is evident in GWT support for the same. The author provides an hors d’oeuvre of the possibilities. XML support is of particular personal interest, so I was delighted by the degree of support for creating and parsing XML documents. I share the author’s sentiments with respect to XML support wholeheartedly: I too hope that future releases of the GWT will provide broader and deeper support for XML. In the final chapter (Chapter 10), attention is given to increasingly automated methods for deploying GWT-based applications. Starting with a manual deployment in Tomcat, then an automated deployment with Ant, and finally an Ant-based deployment from within Eclipse. A single appendix details how to access and execute the examples provided throughout the book. With the possible exception of a concluding chapter, page, paragraph or even sentence(! ), to provide some sense of closure to the book, I am at a loss to report any omissions, oversights or errors of any consequence. And although it will have to wait for a follow-on contribution of some kind, additional discussion might be given to topics such as Google Gears or even Google Android. Even though the book I reviewed was a complimentary copy provided by the publisher, I would happily pay for my own copy, and heartily recommend this book to others having interests in the GWT. Packt Open Source Project Royalty Scheme Packt believes in Open Source. When we sell a book written on an Open Source project, we pay a royalty directly to that project. As a result of purchasing one of our Open Source books, Packt will have given some of the money received to the Open Source project.In the long term, we see ourselves and yourselves, as customers and readers of our books, as part of the Open Source ecosystem, providing sustainable revenue for the projects we publish on. Our aim at Packt is to establish publishing royalties as an essential part of the service and support business model that sustains Open Source. I cannot suggest that Packt is unique in this approach. Regardless, their approach is certainly welcome. Over the past few months, a topic I’ve become quite interested in is parsing XML. And more specifically, parsing XML in parallel. Parsing of XML documents has been recognized as a performance bottleneck when processing XML. One cost-effective way to improve parsing performance is to use parallel algorithms and leverage the use of multi-core processors. Parallel parsing for XML Document Object Model (DOM) has been proposed, but the existing schemes do not scale up well with the number of processors. Further, there is little discussion of parallel parsing methods for other parsing models. The question is: how can we improve parallel parsing for DOM and other XML parsing models, when multi-core processors are available? As someone with a vested interest in XML, I regard data points such as these as very positive overall. Later today in San Francisco, at the 2007 Fall Meeting of the American Geophysical Union (AGU), one of my co-authors will be presenting our poster entitled “Relationship-Centric Ontology Integration” (abstract). This poster will be in a session for which I was a co-convenor and described elsewhere. A PDF-version of the poster is available elsewhere (agu07_the_poster_v2.pdf).